Hospital leaders are laser-focused on reducing costs. However, when making supply chain improvements, many leaders overlook three areas of the business where expense can be controlled. This webinar quantifies those areas of expense and shares strategies for optimization and inventory improvement. 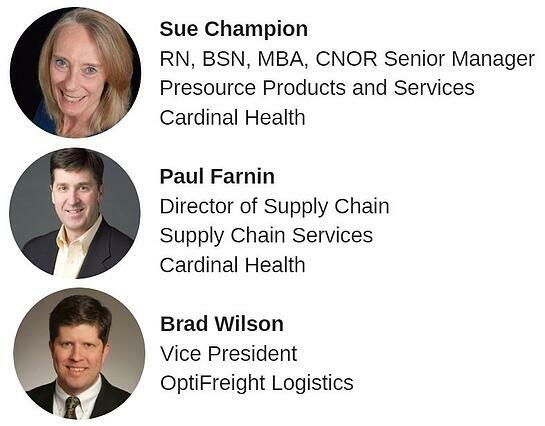 Learn from industry experts Sue Champion, Paul Farnin and Brad Wilson at Cardinal Health as they share best practices that can help you identify a partner to achieve those savings today. What are the three areas of expense that are overlooked? How can savings be achieved in these areas? What are some tips in looking for a partner to help achieve these savings?